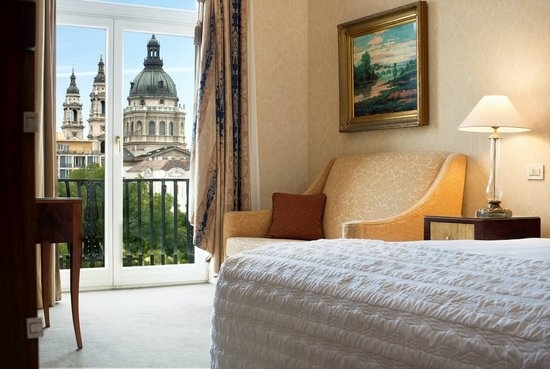 Ideally located in the heart of Budapest, a few steps from the blue Danube, the luxury hotel Le Méridien Budapest welcomes you into the city’s World Heritage sites, to its unique historic and artistic life. 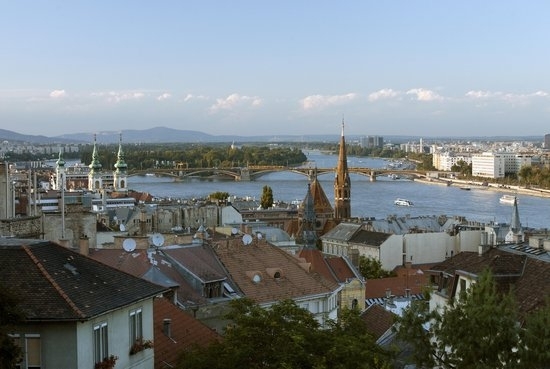 Within walking distance you may discover the main attractions of Budapest: the Parliament, the historic Buda castle, Europe’s largest Synagogue and many more. 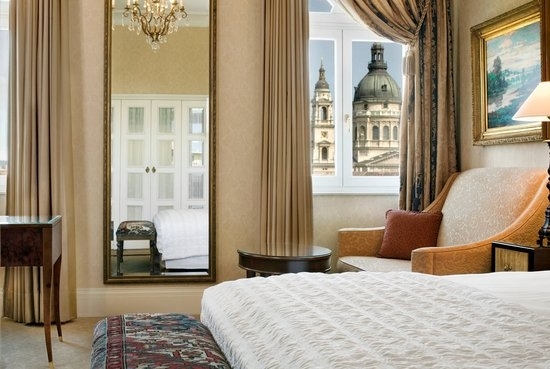 Le Méridien Budapest features 192 elegant guest rooms and 26 suites, many of them overlooking Erzsébet square and the St Stephen’s Basilica. The best place to stay in Budapest to start the discovery of the beautiful city. 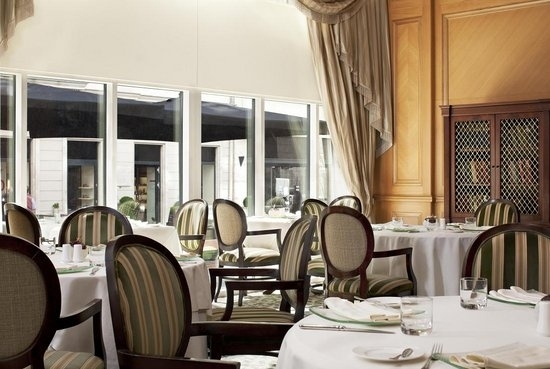 French cuisine awaits at Le Bourbon restaurant, where Chef Laurent Vandenameele shares his passion for local products. 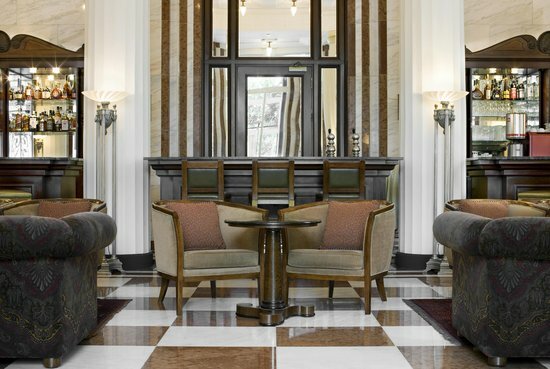 Experience the Adria Palace Bar preserved in its original historic beauty offering comfort and relaxation during daylight hours and a lively jazz band after 8pm. 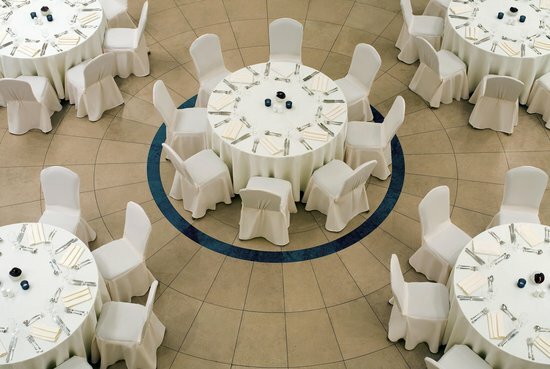 The ideal venue for your next meetings, hotel Le Méridien Budapest provides personalized service and excellent meeting facilities with a ballroom for 210 or the choice of 7 board rooms. 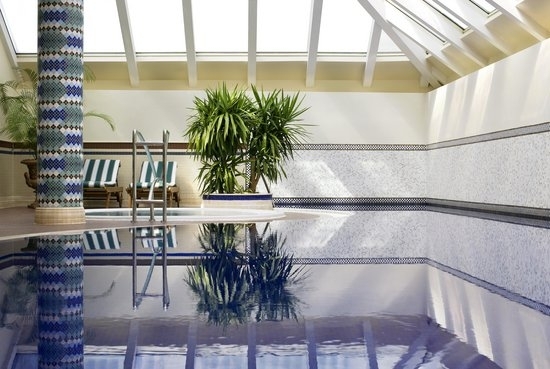 Situtated on the 8th floor, the nicely designed Health Club features and indoor swimming pool with a glass roof. Jacuzzi, sauna, steam bath, massage rooms and a well equipped fitness room with cardio machines are awaiting You to refresh your body and mind. 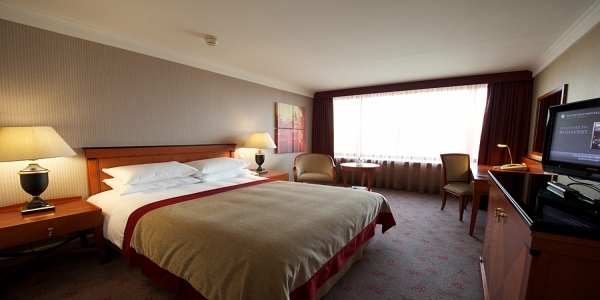 For our Hotel Guests the fitness room, swimming pool, Jacuzzi, steam bath and the sauna are free of charge. “Efficiency and well-being working for your body beauty …” By bonding the links between yourself and the sea, you give your body well-being, tonicity and beauty. With the Phytomer body treatment range, this vital harmony lives up to your expectations. 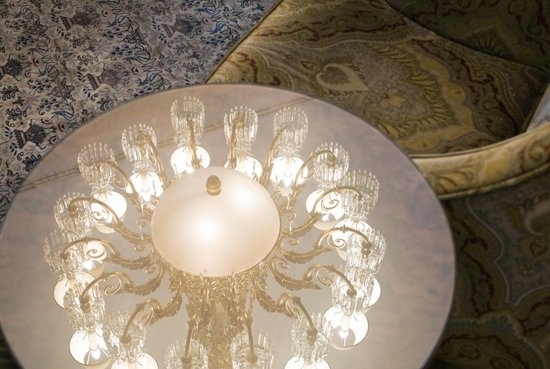 uxury and classical elegance awaits your discovery in the rooms and suites of Le Meridien Budapest. 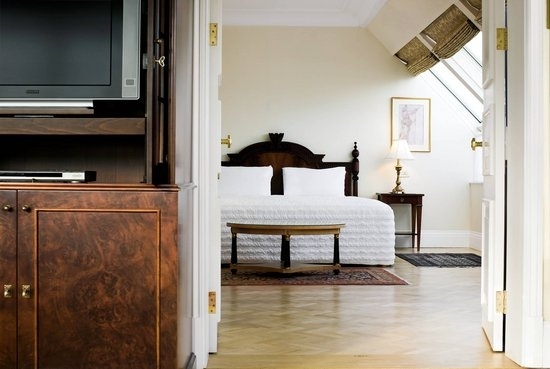 These comfortable and spacious rooms with classically elegant interiors have tall windows overlooking either the Erzsebet Square or the quiet Deak Ferenc pedestrian street. 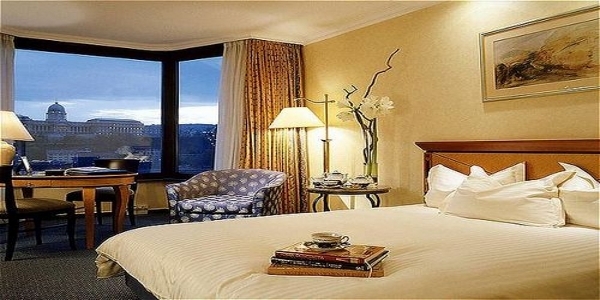 All rooms are equipped with professional desk and a comfortable seating area, either with king-size or twin beds. The elegantly designed marble bathrooms have separate bathtub and shower. 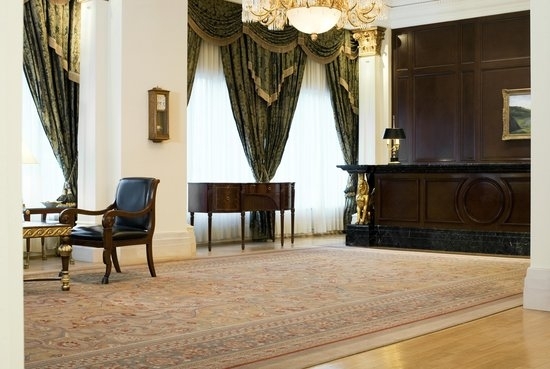 More spacious than Superior rooms while continuing their classical elegance, with large windows overlooking either Erzsebet Square or the quiet Deak Ferenc pedestrian street. All rooms offer the same extensive range of amenities as the Superior category, plus additional office facilities for full working comfort. The elegantly designed marble bathrooms have separate bathtub and shower. 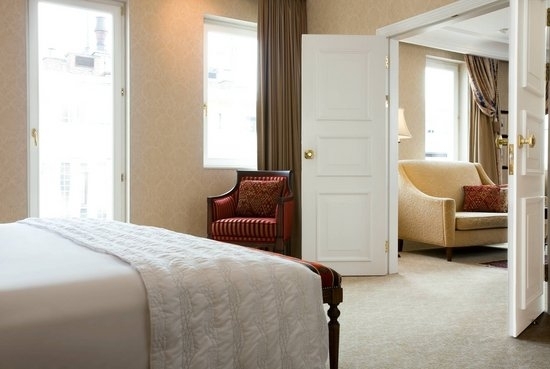 Located at the corner of the building, these bright, luxurious rooms with additional comfortable seating area continue the classical elegance of the interiors. Their tall windows or French balconies overlook the Erzsebet Square or Deak Square. The elegantly designed marble bathrooms have separate bathtub and shower. 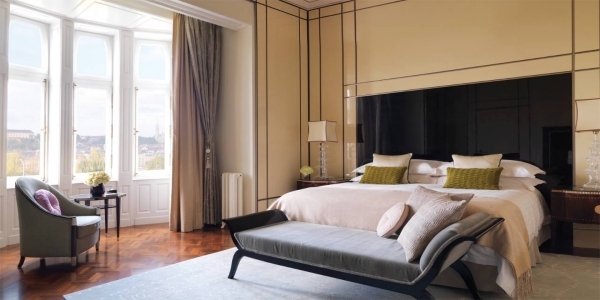 Attractive corner suites with classically elegant interiors. The suites, overlooking the quiet pedestrian street or Deak Square, offer large lounge areas with sofa and armchair plus separate guest WC. The elegantly designed bathrooms have separate bathtub and shower. TV is supplied in both the lounge and bedroom. 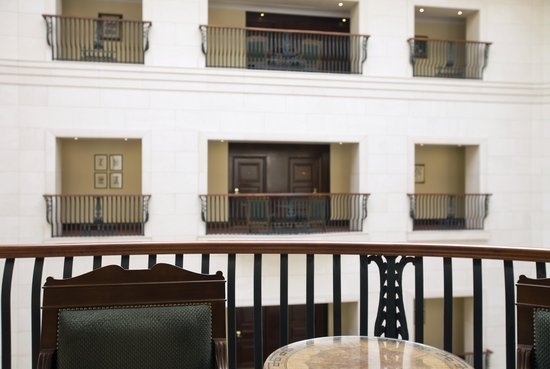 These suites are located on the 8th floor with private terrace and easy access to the Health and Fitness Centre and the board meeting rooms. 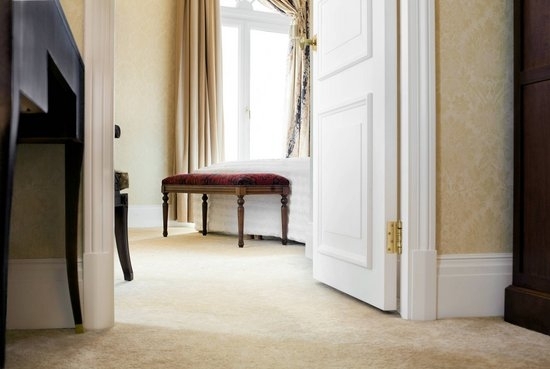 The suites, decorated in the hotel’s hallmark style of classic elegance, offer large lounge areas with sofa and armchair plus separate guest WC. The elegantly designed bathrooms have separate bathtub and shower. 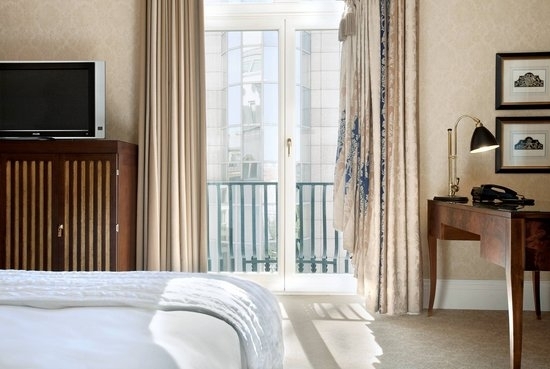 The largest and most luxurious guest suites are situated on the top floor, which acommodated several world famous celebrities and politicians, featuring private terrace with beautiful panoramic views of the city, spacious lounge including a dining area that comfortably seats eight people. We are at your service for any extra wishes or needs. Le Bourbon is the French signature restaurant of Le Méridien Budapest Hotel. 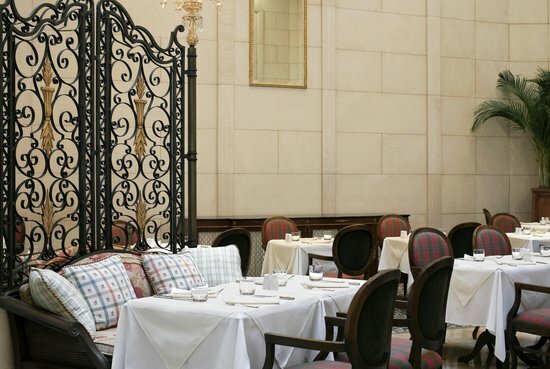 Since its inauguration in 2000, it has earned a distinguished name for its elegant service and first-rate French cuisine. Executive Chef Laurent Vandenameele trained in several Michelin star rated restaurants in France, prior to his international experience respectively as Chef at Le Méridien Dubai and then at Le Méridien New Orleans. In October 2009 Chef Vandenameele received a prestigious gastronomic prize, the Toques Blanches du Monde, for his work for French cuisine and for the Hungarian Bocuse d’Or Academy. The prize was given by Michelin star French chefs invited to Budapest for this occasion. Le Méridien Budapest Hotel’s Adria Palace Bar is elegant yet informal, the perfect setting to pass away a few hours savoring smooth cocktails and listening to fantastic live jazz. Try the impressive selection of 28 single malt Scotch whiskeys. 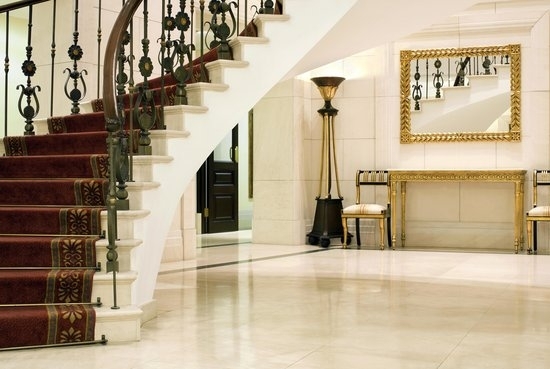 The White Lounge, champagne and wine bar in Le Meridien Budapest. Jazzy piano music, comfortable white sofas and armchairs, and an impressive selection of drinks await your discovery: French champagne, proseccos, frizzante with fresh berries, fruit sorbets, classic and original cocktails, long drinks, lemonades and coffee specialties. The White Lounge features live piano music performed by jazz pianist László Pecek-Lakatos and DJ performances on Fridays. The bar can be accessed directly from the Fashion Street (Deák Ferenc street), or via the hotel’s lobby. We are awaiting you in the heart of the city from Monday to Friday between 12 and 4 pm with a light French style bistro lunch. Enjoy Chef’s weekly offer for only HUF 3 600 per person, including the choice of a starter and a main course, or a main course and a dessert, or choose a three course lunch for HUF 4 500 per person. We are awaiting you with our Wine Dinner at Le Bourbon restaurant on Thursday, 15th November at 7pm. For the monthly event, Chef Laurent Vandenameele has composed a 5 course set menu around a selection of wonderful wines from the Wines of the World by the Glass program of Starwood Hotels & Resorts. The exclusive wines – that have a big reputation around the world by either their brand, source of origin or by the grape variety – will accompany each course, for you to have a truly authentic experience. Price of the dinner is HUF 11 900, – per person, including water, coffee and wines.